Did I pick up this book because the cover reminded me of Fangirl ? Maybe. Yes, yes I did. When high school junior Rachel Ettinger secretly snaps a photo of Kyle Bonham and tweets, ahem, I mean flits it it to her best friend she thinks nothing of it. Until the pic goes viral. While Kyle becomes an overnight internet sensation Rachel becomes a target for harassment and cyberbullying. So, in case you aren’t familiar, this book was inspired by the phenomenon that is Alex from Target. 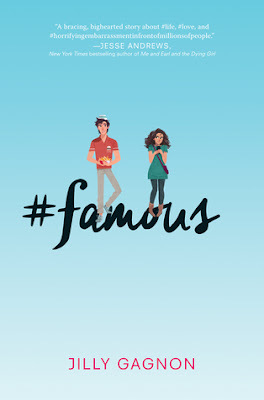 #famous had a strong start, we see a lot of the rampant sexism online and I really thought Gagnon was going to flesh out Rachel's story through this lens, but the online abuse gets dropped pretty early to focus on a tedious plot where Kyle recruits Rachel to repeatedly appear with him on an Ellen type talk show. Kirkus' review of this book called Kyle a “ schmuck with a haircut” which at first I thought was kind of cruel, but then I realized he is kind of a....dolt ? He gets everything because he's a handsome. Kyle is just so unaware of anything else going on in the book including Rachel's cyberbullying. It seemed like every other character is telling him what to do or how to do something and he just goes with it. He reminded me of the president on Scandal. Also fair warning, there is a lot of “not like the other girls” and fat shaming in the first part of this book. 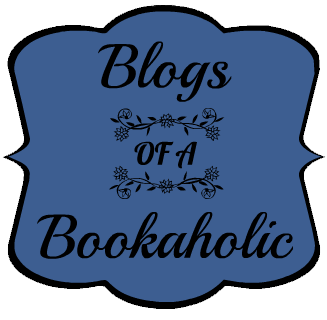 I really like James Fouhey performance as Kyle, he is one my new fave narrators. He has this crisp, youthful voice. Co-narrator Arielle Delisle had some good voices too but her predominate voice, Rachel, sounded too much like she was "doing a voice". #famous explores the modern phenomenon of internet fame, but it falls flat underneath a less than stellar romance.